A private piece of paradise on Big Heffley Lake. This turn-key home comes fully furnished. It has 120+ feet of waterfront and sits on a 0.62 acre treed lot. There is a spacious deck with an incredible 180 degree view overlooking the lake and large dock, fire pit, flat grassy beach area and yard. The spacious rancher style home has numerous updates including a metal roof, kitchen, appliances, furnace, hot water tank, all flooring, all drywall and insulation in the ceiling and walls, bathrooms, light fixtures, internal doors, plumbing and much more. Heffley Lake is 10 minutes from world class skiing at Sun Peaks Ski Resort and 30 minutes from the Kamloops Downtown core. 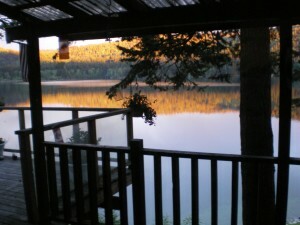 There are few properties like this one on Heffley Lake. This home overlooks the largest part of the lake. Heffley is ideal for year round activities such as water skiing, wake boarding, fishing, paddling and hiking in the warmer months and snowshoeing, cross country skiing, snowmobiling and much more in the colder months. There is room to build a detached shop and lots of parking for all your vehicles and toys. This home is suited for year round living. Don’t miss out on this fantastic property!